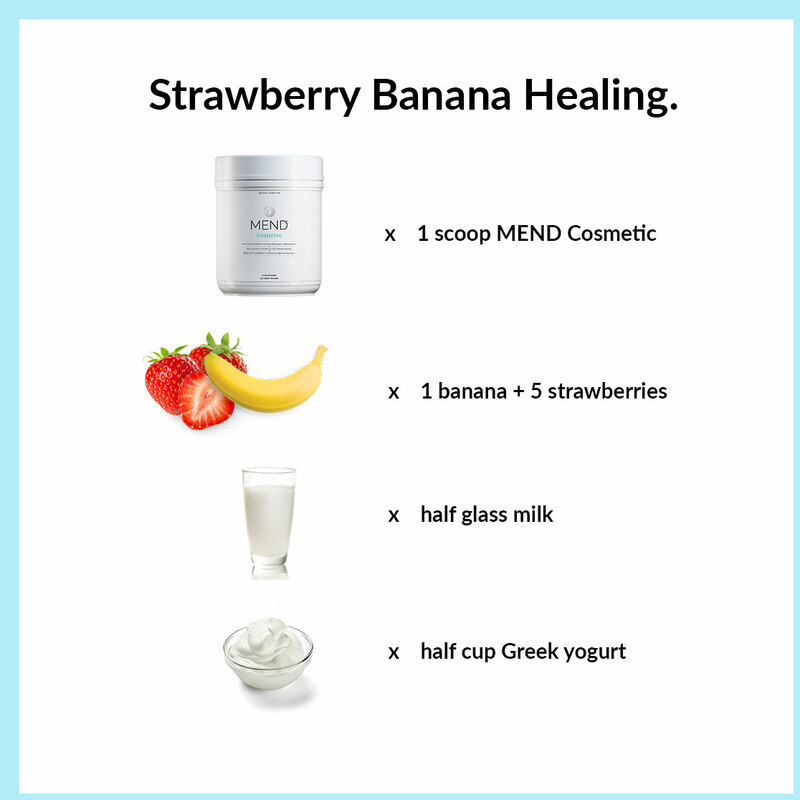 A delicious recipe recommended by Dr. Buford. 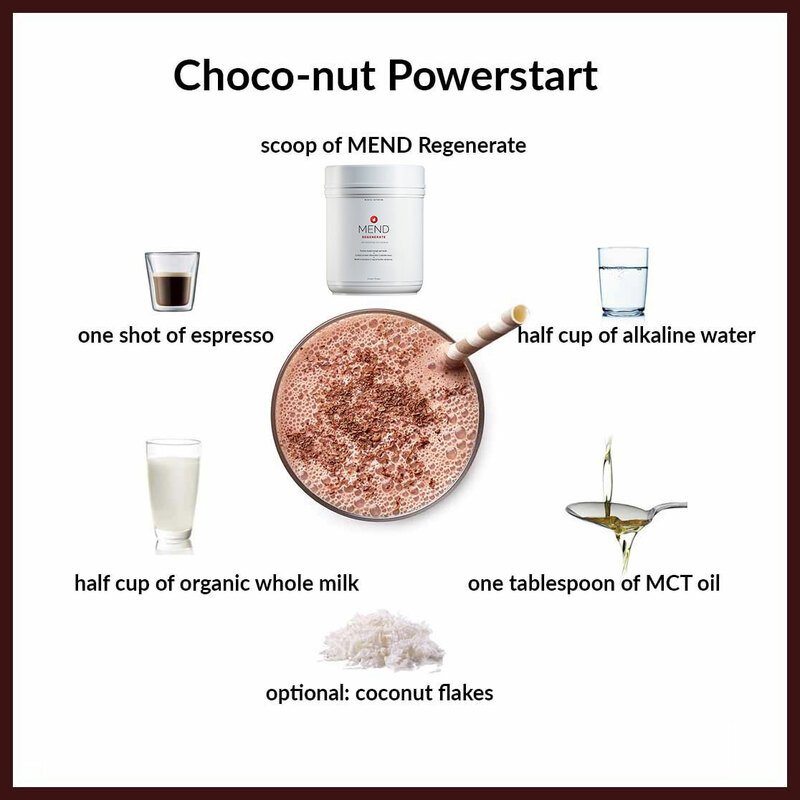 It is absolutely addictive and packed with micro and macro nutrients. 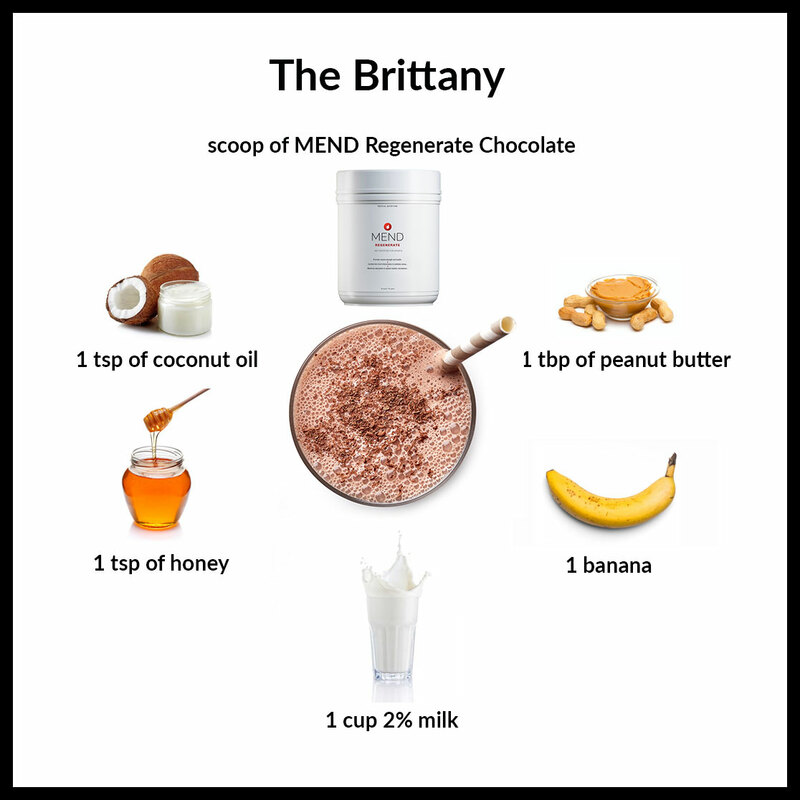 [post_content] => Recommended by our client, model Brittany Alleman. 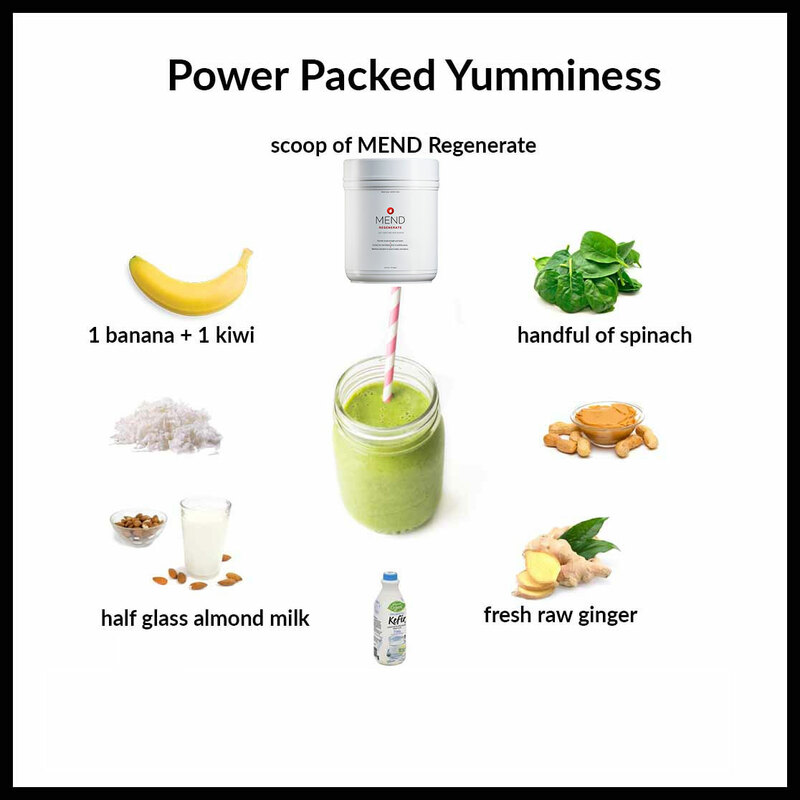 She's right, it's delicious...and packed with goodness. 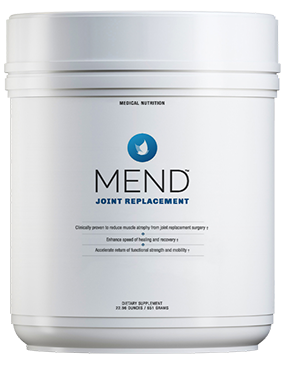 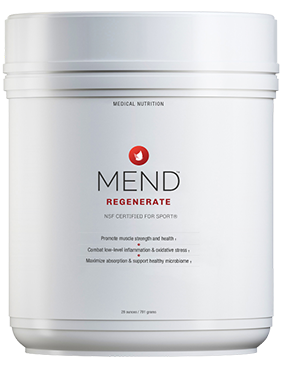 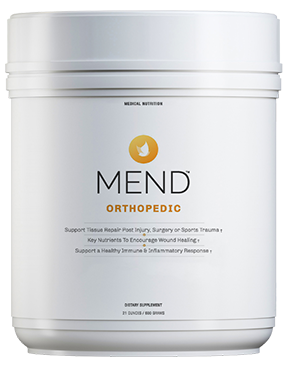 High in the good fats, high in protein and the multiple benefits of MEND Regenerate. 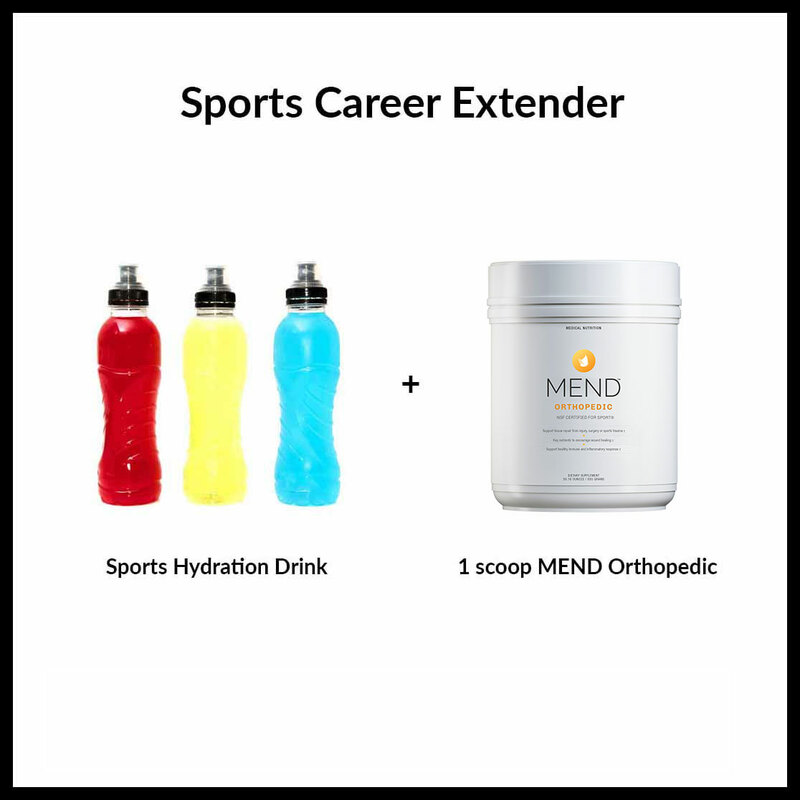 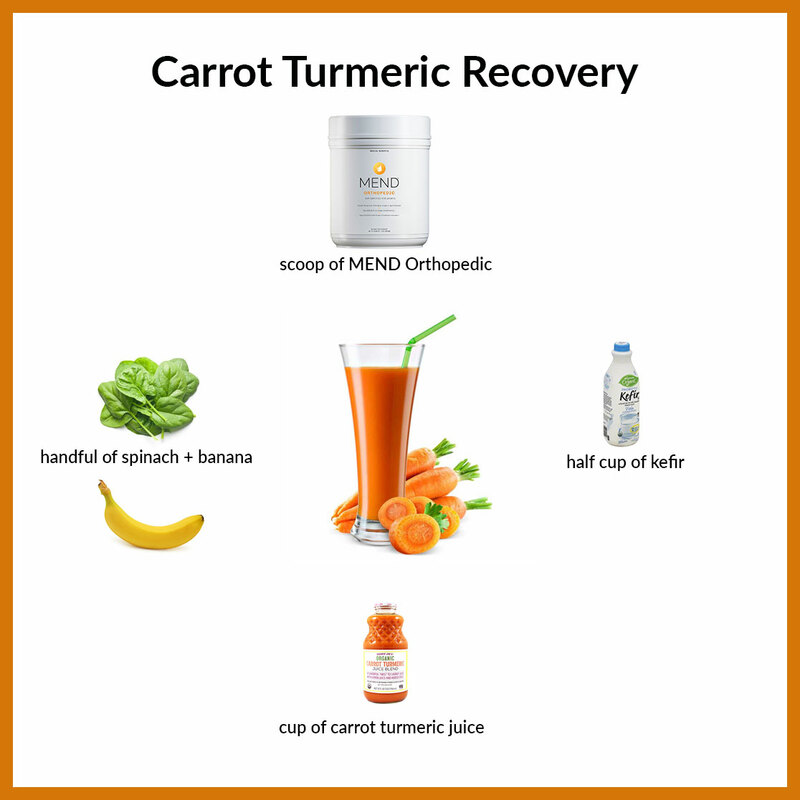 [post_content] => Recover from your workout with this carrot, turmeric and spinach smoothie powered by MEND Orthopedic. 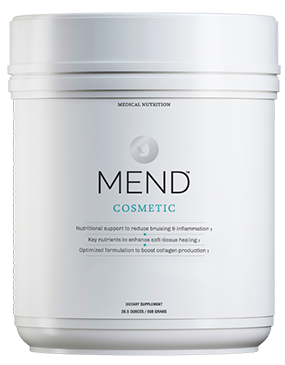 Tissue healing, tissue building, anti-inflammatory and anti-oxidant. 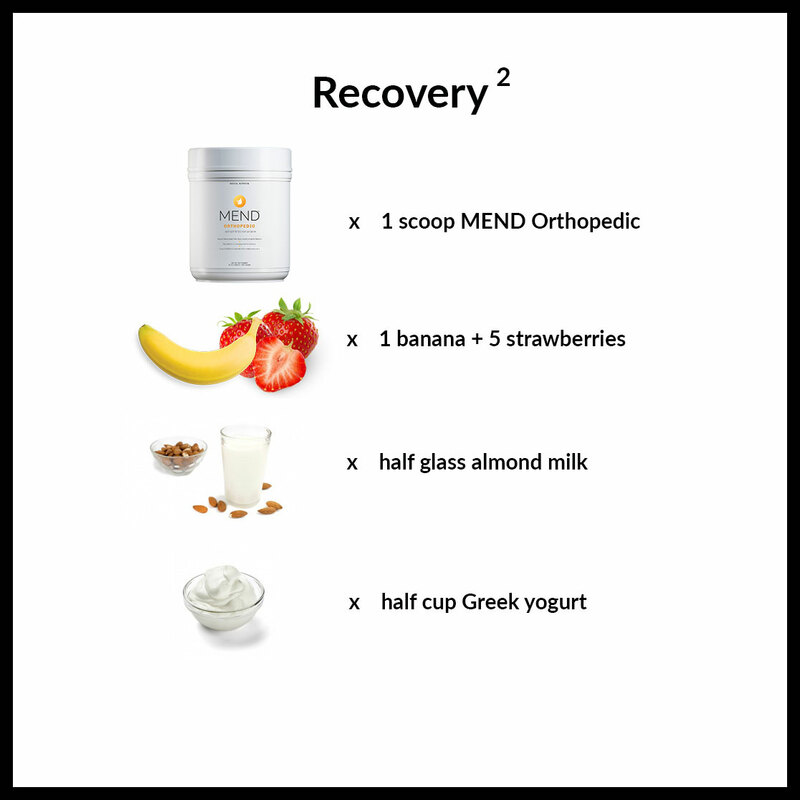 [post_content] => Drinking MEND is not the only way to get the nutrients into your body. 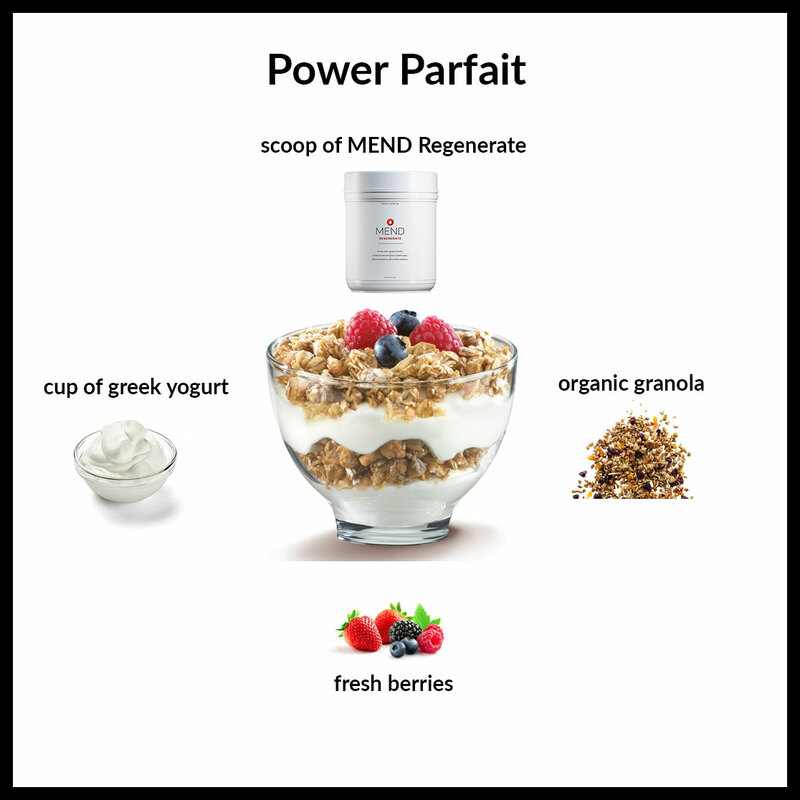 You can supercharge your pairfait with a scoop. 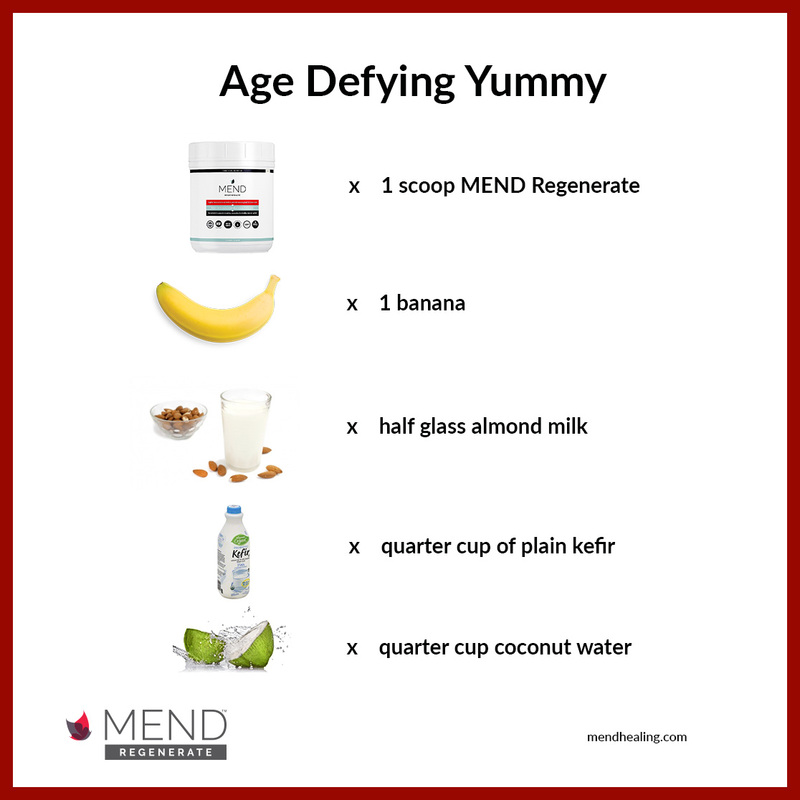 Here's a daily breakfast recipe with a scoop of Regenerate. 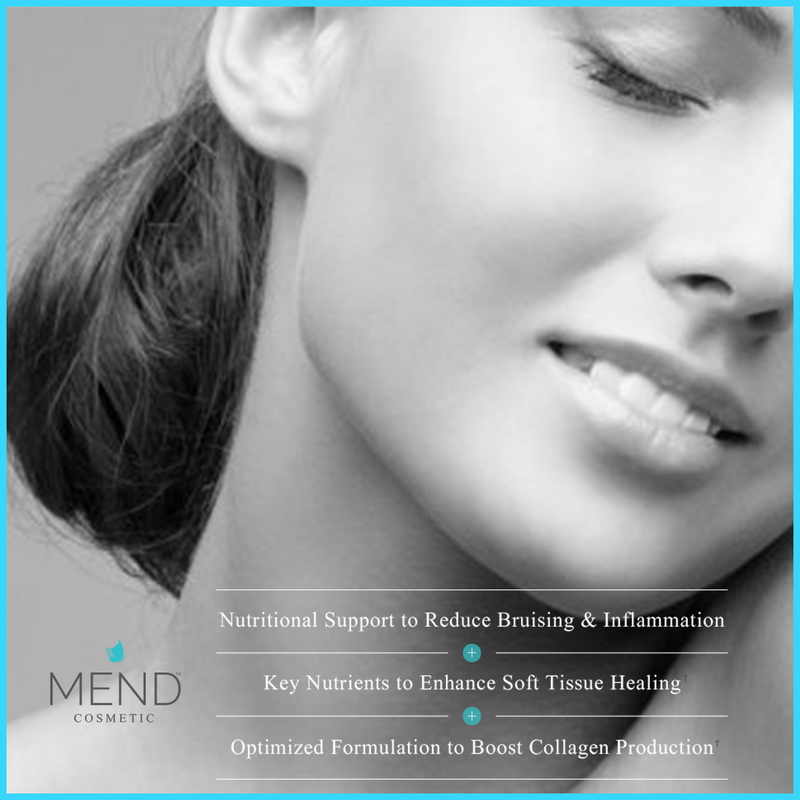 [post_content] => Try out new fruit punch flavored MEND Cosmetic. 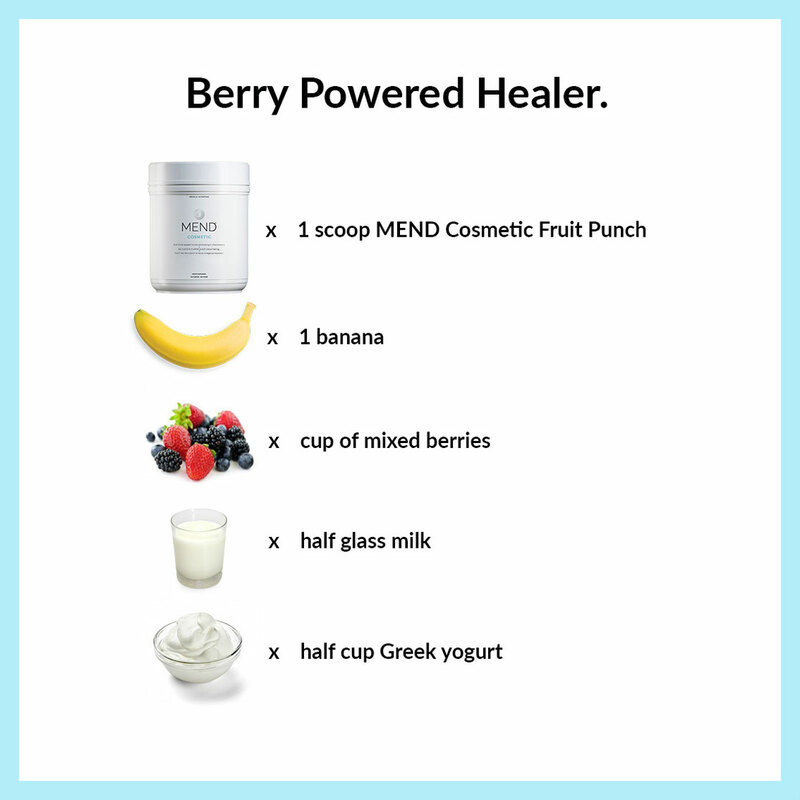 If you like a berry and banana flavored smoothie, try blending this. 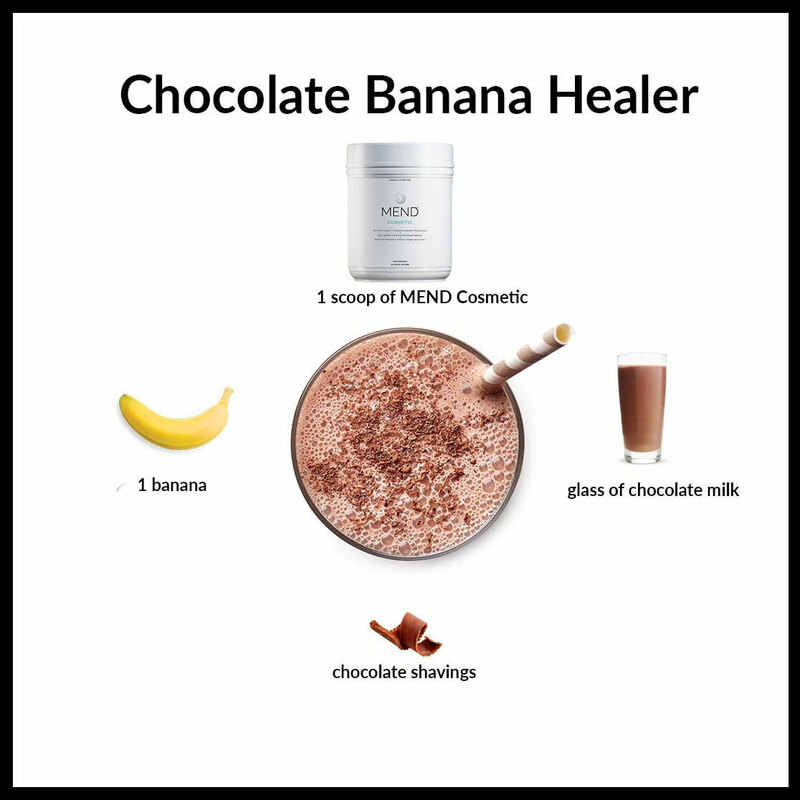 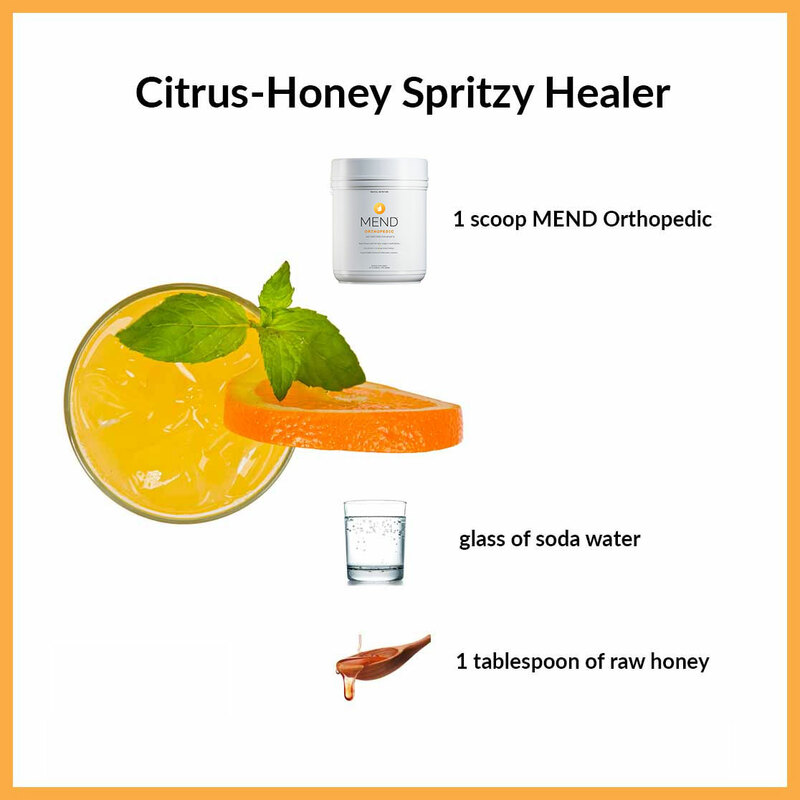 Yummy and packed with healing properties.